My first guest post today! I would like to introduce my fellow blogger and sister, Kristen! 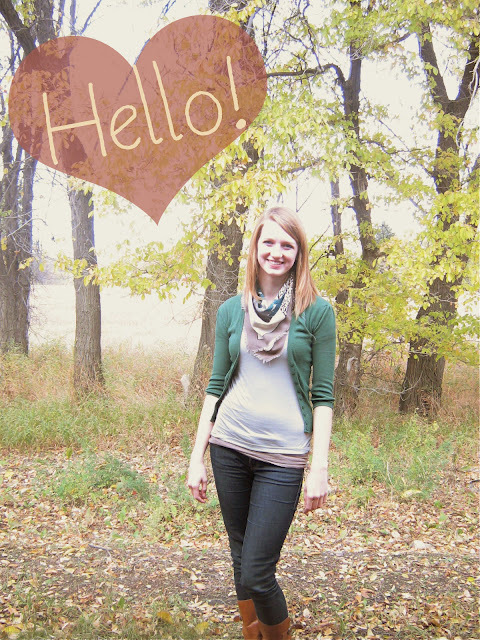 She has a fabulously fun blog which she will introduce for you. 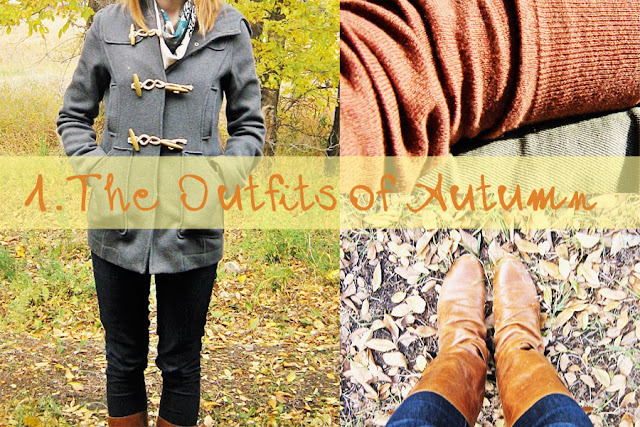 I've asked her to share with you some of her favourite fall things! Hello there! This is Kristen, Jenni's sister. If you've ever dropped by Summer Sets In, that's my blog. If you know a bit about what Jenni likes doing, then you know things similar to what I like doing! I love doing crafts, making coffee, and watching Friends. I am a thrifter as well, and my favourite thrifted find as of now is probably vintage gift wrap. That and any vintage photo frame I've gotten my hands on. I love the season of autumn! 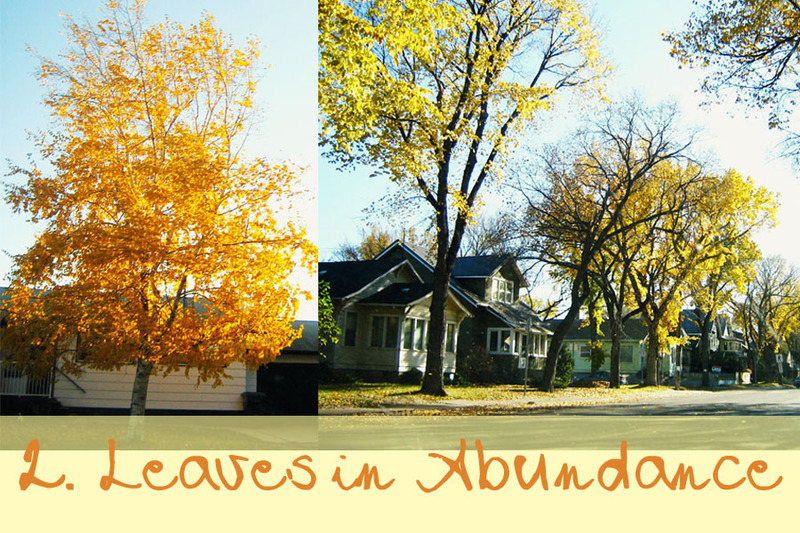 Thankfully, here on the Canadian prairies, this season has decided to extend itself longer than usual! Rarely are the leaves still lingering on the trees in late October, but I am not complaining! 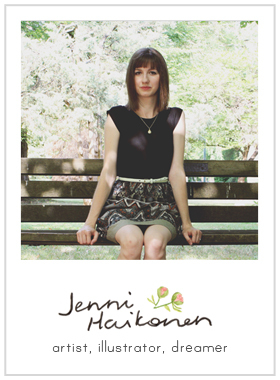 There are so many things I enjoy about fall, but Jenni has asked me to share just a few of those with you. My favourite colours as of right now? Olive, Mustard, and Rust-Orange. What a convenience that those are perfect colours for fall! I also love layering. Scarves and cardigans are staples in my books..and closet. I am always cold in winter, but usually my body temperature still likes me in autumn. Scarves and cardigans are the perfect fit! I actually just stopped and sighed the last time I was walking in the leaves. It was so beautiful! There is nothing like seeing those few weeks where the leaves finally change their outfits after wearing green all spring and summer. It's refreshing and something I think I have tried to stop taking for granted this fall. Pumpkin anything is super delicious! Thanksgiving hogs the bulk of this vegetable, but I have decided that even if my Canadian thanksgiving has come and gone, I can hold onto the love of pumpkins even after Halloween, because American thanksgiving is later on! Thanks guys! This picture was snapped at the last event the Cafe I volunteer in put on. 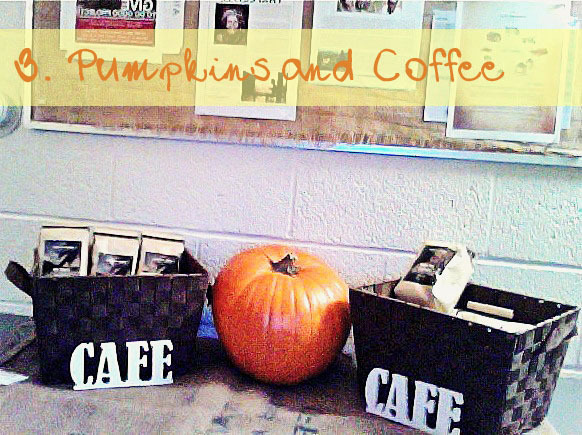 Pumpkins and Coffee..What a treat! I enjoyed some pumpkin spice lattes, and even made my own version to combine with coffee. It was like a pumpkin-coffee-creamer. I don't have the recipe, but it was milk, pureed pumpkin, nutmeg, cinnamon, and brown sugar. Experiment and try your own! There's a few of my fall favourites. What are yours? Just found your blog, and now am off to check out your sisters! In love with fall colours and pumpkin everything too!